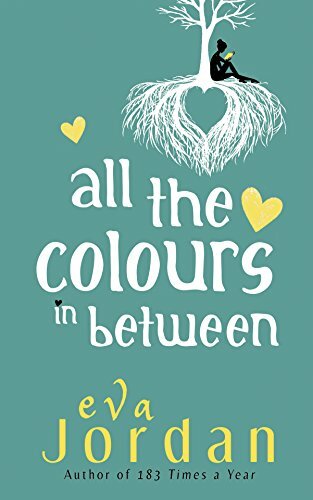 Eva Jordan, born in Kent but living most of her life in a small Cambridgeshire town, describes herself as a lover of words, books, travel and chocolate. She is also partial to the odd glass or two of wine. Storytelling through the art of writing is her passion. Providing her with some of the inspiration for her writing, Eva is both a mum and step mum to four children. Her career has been varied including working within the library service and at a women's refuge. Eva has had several short stories published and currently writes a monthly column and book review for local magazine, The Fens. 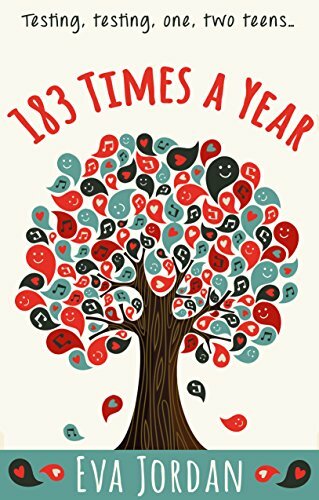 183 Times A Year is Eva's debut novel. Who is the real Eva Jordan? Wow – if I ever find out I’ll be sure to let you know! Seriously though, like most people, I feel as though I’m constantly growing and evolving all the time. I care a lot about this crazy planet we inhabit and am still as mystified, shocked and saddened by the way we treat each other and our environment, as I was when I was younger. My mum used to say to me “you can’t bleed for the world” – and she was right of course – I can’t. But, as a writer, I can point things out, make people think. So that’s who the real Eva Jordan is – a writer. As well as a mother, daughter, sister and friend. If you could start your life over again, what would you do differently? Hindsight, you mean? About as helpful as a bucket with a hole in it. I suppose, given the opportunity, there would be a lot of things I’d do differently: be more confident, take more chances, care less about what others think of me. However, doing things differently would probably mean making choices that would result in my not having my children, whom I love dearly. It’s not easy being a parent but I honestly couldn’t imagine my life without my children. I’ve also discovered a thing or two about myself when making wrong decisions or bad mistakes – namely I’m a lot stronger than I thought I was. In fact, when my back’s against the wall, I’m probably at my best. Instead of falling apart like I sometimes imagined I would, I have instead pushed forward and achieved things I never believed I was capable of. Ooh – just read that back, getting a bit deep methinks! Basically though, what I’m saying is, I’m not sure I would start over again. Our bad decisions and choices define us every bit as our good ones. It’s not always easy to see at the time though. You live in a little town in Cambridgeshire, which is a lovely part of England. Was this where you grew up or did you move here later on in life? My parents met and married in London then moved out to Kent, where I was born. We stayed there until I was six years old then moved to Cambridgeshire and although we stayed in or close to the same area, my parents moved another six times. Unlike my school friends, many of whom, like their parents before them, were born in the same small town with most of their family living close by, I spent a lot of my childhood travelling back and forth to London and Kent visiting family. There’s a lot to be said for having roots in one place, grounded if you like, knowing exactly who you are and where you came from, however there’s also a lot to be said for the slightly nomadic existence mine often felt at times. Most of my immediate family have stayed in Cambridgeshire and although I moved away for a short time when I was younger and then spent a couple of years commuting to London for work, I’m settled here now. I love to travel though and actively encourage my children to do the same. Experiencing different places and cultures, at home or abroad is, I believe, both very enriching and rewarding. It’s good to spread your wings, even if you do eventually return home to roost. Do you think that creativity is place-bound? Is there anywhere you would like to live for awhile other than Cambridgeshire? I think creativity can be place bound. One of my favourite writers, Sue Townsend, was born in Leicester. Much of her writing was based in or around Leicester and despite her phenomenal success with her Adrian Mole stories, Townsend never left Leicester. My writing has definitely been influenced by the places I’ve lived in. However, having said that, I also like to travel and have been fortunate enough to visit some wonderful places during my life. Hawaii was one of my all-time favourite places. Breathtakingly beautiful, it was very relaxing but very spiritual at the same time. If I had the opportunity to go and live there for a while I’d grab it. But I’d probably like to take my family with me! They say travel broadens the mind so must surely promote creativity. Nonetheless, I’m also a firm believer that a key ingredient for creativity is a great imagination. Are there any unfinished manuscripts lying around the house that will never see the light of day? Your book, 183 Times A Year centres around mother-daughter relationships and blended families. I am a great believer in the saying, “The hand that rocks the cradle, rules the world.” Would you agree with that, and how does that mirror what takes place in your book? Your book successfully blends humour with poignant moments. What is it about Cassie and her relationship with her mother that resonates with your readers? 274 hours on the phone to them. Guess what they do 183 Times A Year? Teenage daughters often feel torn between wanting to remain close to their mothers and wanting to separate. And this is what resonates with my readers. Fortunately this wild swing from remoteness to closeness doesn’t last though. And, although at times the mother-daughter relationship is a road fraught with diverse and complex emotions, it can also be – like many strong, female friendships – very enriching and rewarding. If mum and daughter can hang in there, the relationship comes full circle and usually moves to a different level altogether. Often blossoming into a loving, respectful relationship. You are bringing out a sequel to this book, shortly. Tell us more about it. Will Connor play a bigger role? Will it be written in the first person too? What made you chose that point of view? Connor plays a much bigger role in my next book. He is now 16 years old and the girls are in their twenties and have left home. It starts out, much as 183 Times A Year, with a good dose of humour but like life there are also some darker, more upsetting moments. Lizzie and Cassie are still very central to the storyline too though and all voices are narrated in the first person. I didn’t consciously choose first person narration – it just naturally felt right. How much planning goes into writing your books? How long does it take you and are you under any time-constraints to get each book finished now that you are no longer self-published? I tend to write and research at the same time, although I’ll often have a story floating around in my head for months. I’ll jot down ideas – always seemingly brilliant in the middle of the night – then sometimes can’t remember what my jumbled scribblings are about when I go back to them. I had planned to finish my current work in progress by October (I started it in January) this year – it’s now December – need I say more. I do always make a plan to write a certain number of hours a day and a certain number of hours a week, however, 2016 hasn’t been a particularly easy year for me and unfortunately a couple of unforeseen events have at times severely sabotaged my writing time. Matthew, my publisher at Urbane Publications, is brilliant though and has asked for the finished draft by May 2017 at the latest, hopefully in time for an autumn release. What advantages have you gained by being signed up by Urbane Publishers? Have there been any disadvantages? What are your thoughts on Netgalley? To be honest, although I have had several short stories published, I’m still fairly new to the writing industry. 183 Times A Year was my debut novel, first self-published as an ebook, then as a paperback with Urbane Publications. The advantage of having a publisher is having someone to advise you who has spent years in the industry. Plus, the Urbane family is growing and all its writers are very supportive of one another. I suppose the disadvantage of being signed up with a publisher is that I have less control over my book, however, having said that, Matthew is very flexible and always open to ideas and suggestions. The jury is still out for me when it comes to Netgalley. I’ve had some great reviews but not as many as I’d hoped. The rumour mill does suggest that some readers simply use Netgalley as a way to get free books but how true that is, I couldn’t say. What is next for Eva Jordan? Depending on how my publisher feels about the ending of my current work in progress, I have left it open for the option of a sequel, and possibly a prequel to 183 Times A Year. I have also made notes for a couple of other stories I have in my mind, both completely different genres to my debut and current novel. So, time permitting, watch this space. Mothers and daughters alike will never look at each other in quite the same way after reading this book-a brilliantly funny observation of contemporary family life. Lizzie-exasperated Mother of Cassie, Connor and Stepdaughter Maisy-is the frustrated voice of reason to her daughters' teenage angst. She gets by with good friends, cheap wine and talking to herself-out loud.